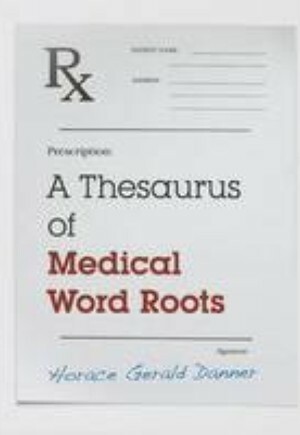 Dr. Horace Gerald Danner's A Thesaurus of Medical Word Roots is a compendium of the most-used word roots of the medical and health-care professions. All word roots are listed alphabetically, along with the Greek or Latin words from which they derive, together with the roots' original meanings. If the current meaning of an individual root differs from the original meaning, that is listed in a separate column.